He still has several weeks left in his term but with a pardon list so far made up of generic tax evaders and people charged with drug crimes (the most recent and well-known being a not so well-known rapper), President George W. Bush pales in comparison to other U.S. leaders. Previous presidents have granted clemency to everyone from draft-dodgers to confederate citizens to, well, their predecessor. 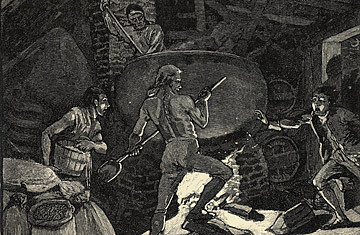 In an event that would lead to the first pardon in U.S. history, Congress enacted a steep tax on spirits in 1791 to help pay down the national debt, and hard-hit small producers protested by taking to the streets in western Pennsylvania. They quickly formed a multi-state armed rebellion and President George Washington called in 13,000 troops to quell the opposition. Intent on emphasizing federalist power, the government charged the whiskey rebel leaders with treason against the U.S., although many were released due to a lack of evidence. Virginia Governor Henry Lee, on Washington's behalf, issued a general pardon for those who had participated "in the wicked and unhappy tumults and disturbances lately existing," even though some of the rebels had not even been indicted. Only a few men had trials and two were convicted of treason (which meant death by hanging). Eventually, Washington pardoned those who had treason convictions and indictments. It was the first pardon in American history that overturned a criminal conviction, and the first time under the young U.S. Constitution that the federal government wielded military force to quell its own citizens.